Users have the ability to link their Google account with their Video Platform user account. 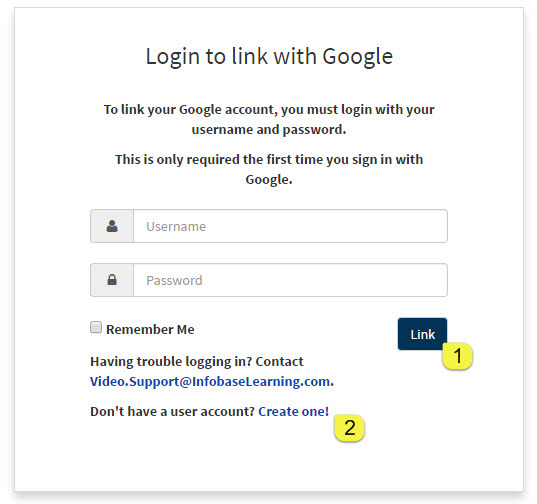 Linking accounts allows for one-click login access to the platform using the "Sign in with Google" button on all subsequent requests. This is a one time, optional feature that can be disabled at the account level within the admin portal. Sign in with Google is offered as a FREE service. Google Apps for Education (GAFE) is a core suite of productivity applications that Google offers to schools and educational institutions for FREE. If your school is using these applications, you will be able to use the video platform, Google Apps, and Google Classroom all seamlessly, without having to login again. Assuming this feature is enabled for your account, the below steps outline how to link your Google account to a platform account, view the status of this connection, and disconnect it if required. NEW! Learn about connecting to Google using the new Direct Google Sign In feature! To link your account, click on the Sign in with Google button, or toggle the option inside My Profile to ON. You are required to click the Allow button for this linkage to work. 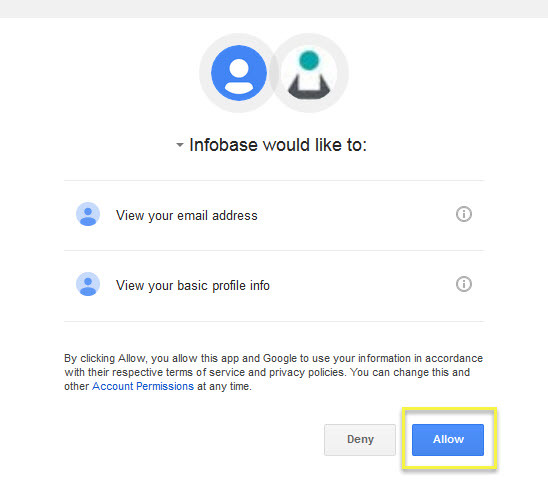 If you click Deny, your Google account will not be linked and you will have to start the process over again. After clicking allow, you will be redirected to the Login to link with Google page, as shown below. If your Google email address matches the email address in your user account on the platform, you will automatically bypass the below account linkage screen. If your user account on the platform does not contain the same Google email address you are attempting to use through Google sign in, you will be redirected to the link page below. Administrators can use the bulk user email update option in the admin portal to update all user email addresses to match their Google email accounts. For more information, please visit the help article on the bulk user email update. You do not have a platform user account with a matching Google email address, or no user account at all. You have more than one platform user account that contains the matching Google email address. Once you click the Link button, your accounts will be linked together, and you will be automatically logged into the platform. Each time you revisit the platform, you may now click the Sign in with Google button to immediately be logged into the platform. You can also login using your personal user account by entering your username and password. Clicking the Create one link will redirect you to the Create Account page. Your name and email address will be pre-populated from your Google account. 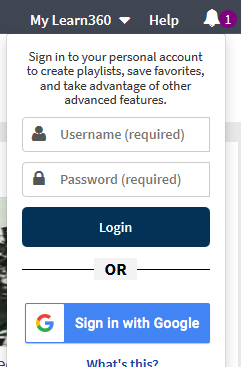 If you know you have a valid platform user account, please contact your administrator or support for assistance in locating all of the accounts sharing your email address.